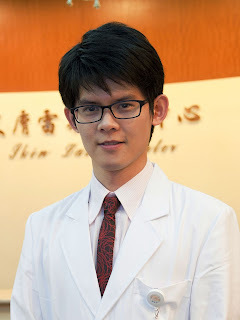 * Board-certified dermatologist in Taipei, Taiwan, Republic of China. Rosacea, atopic dermatitis, aesthetic dermatology(laser, filler injection, botulinum toxin injection), and Moh's surgery. CEO & Attending Physician at Dr. Hwang's Dermatology Clinic, Taiwan, R.O.C. Lecturer at Ministry of Education, Taiwan, R.O.C. Lecturer at Department of Dermatology,National Yang-Ming University, Taipei, Taiwan, R.O.C. Attending physician Department of Dermatology, Wan-Fang Medical Center, Taipei, Taiwan, R.O.C.